I’m not sure how successful an approach this will be, but I guess it’s better than nothing. Expanding gaming requires a vote of two-thirds of the legislature, with voters getting the final say. A new poll done for the Chronicle and the state’s other major newspapers found 60 percent favored an expansion of gaming. Expanding gaming may be a last-ditch attempt at saving racing. Without slots, Texas track operators say, they won’t have the additional revenue to increase purses and attract quality horses . “You will likely see the fall of several players,” predicted Andrea Young, president and chief operating officer of Sam Houston Race Park . She wouldn’t say whether Sam Houston would be one of them. Bryan Brown, chief executive of Retama Park in Selma, had an even more fatalistic view if lawmakers can’t be persuaded. “Our industry, over a period of years, will just disappear,” Brown said. Retama hasn’t turned a profit since opening in 1995. I blogged about the poll in question the other day. I have to say, this is not an approach I’d take if I were the horse racing industry. There were plenty of Republicans who were perfectly content to let the US auto manufacturers die back during the early days of the economic crisis. If this is the pitch, I have no trouble imagining it being recast as a “bailout” in the 2012 primaries. Stick with your projections of economic benefit for the state and hope for the best, I say. The gloomier the budget picture and the harder it gets to make cuts, the better it’ll sound to them. Under the racing industry’s proposed legislation, the state would get 30 percent of the slots revenue. The tracks would keep 58 percent, and the remaining 12 percent would be earmarked for purses and other items for the horse and greyhounds industries, Hooper said. If slots pass, Sam Houston’s Young said it will spend $350 million for new facilities, gaming terminals and other amenities. Retama expects to spend $200 million. Young pointed to Parx Casino in Philadelphia as a venue she’d like to emulate, raving about how well it has integrated slots (and table games) with horse racing. “It feels like you’re walking into a Vegas-style casino,” she said, referring to the layout and finishes. I still don’t think much of their odds of success, but this is as sensible an approach as you could expect. 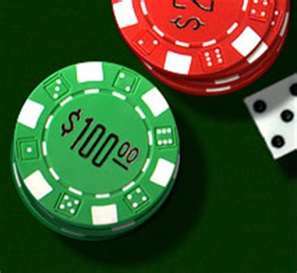 The Texas Gaming Association, which represents casino operators, is proposing four to eight casinos. Three would be in the largest counties – Harris, Bexar and Dallas – and at least one other would be in a coastal town, said spokesman Scott Dunaway. Whoa! I’ve been following this issue for awhile now, and this is the first time I can recall seeing any specific location mentioned for a casino, especially Harris County. 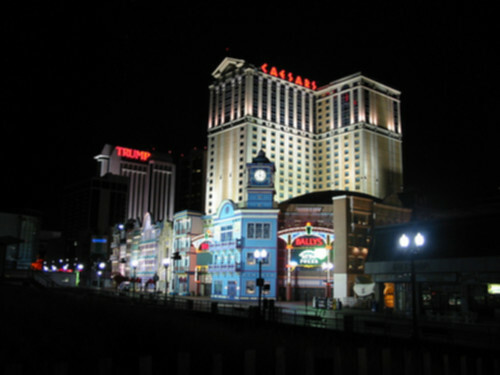 In the past, the talk has always been that there would be local elections to determine whether or not a given city would allow a casino to be built there. (Go take a listen to my interview with Joe Jaworski, now Galveston’s Mayor, in which we discussed this issue, for an example.) I was sufficiently surprised by this that I contacted Harris County Judge Ed Emmett, to see what his position was. Judge Emmett told me that it was the first he had heard of it as well. As such, I don’t know if this is something new, something that’s always been there but is just now coming out, or if the story got it wrong. Whatever the case, the casino interests say they will be releasing their financial projections next week. I can hardly wait to see it, and I’ll be sure to write about it when I do. The Dallas Morning News does a little checking, and the math isn’t good for gambling fans. The Dallas Morning News, canvassing all lawmakers, found that expanded gambling lacks the votes, mostly because of objections to social ills and new tax revenue being too far off to help now. The results may indicate that the Legislature, already facing a host of confrontational issues when it convenes Jan. 11 for the 140-day session, could give short shrift to a gambling debate. Sen. John Carona, R-Dallas, who heads a key economic committee, said he has turned down a request to carry a casino bill. “It is highly unlikely that any version [to expand gambling] will be found acceptable by the required number of members in either chamber,” Carona said recently. In the House, 115 of the 150 members responded to the gambling question, with 54 saying they would not support its expansion in any form. Only 27 said they favored doing so, and 26 said they were undecided. The rest who were reached declined to comment. Because of the two-thirds mandate for constitutional amendments, 51 “no” votes would kill the proposal in the House. In the Senate, 24 of the 31 members responded, with 11 saying they would oppose expanding gambling and six saying they would favor it. The others said they were undecided or declined to comment. Eleven “no” votes would kill the proposal in the Senate. Asked about the various plans, some of the lawmakers who were counted as favoring gambling said they might be open to allowing slots at existing racetracks under limited circumstances, but would oppose casinos. I know I’ve beaten this horse many times, but it bears repeating. Gambling expansion is a tough sell, which is why it hasn’t happened after all this time. It’s certainly possible, as suggested by gambling lobbyists and State Sen. Jeff Wentworth elsewhere in the story, that some legislators who are currently opposed to expanded gambling might reconsider once they see what a cut-only budget approach begins to look like. This assumes that they will recoil from such a realization, and I at least am not prepared to make that assumption. I say it’s doomed, and I don’t see any reason to change that assessment. I mentioned before that Sam Houston Race Park is getting an investor that will help them with the push to expand gambling in Texas. Here’s some more about the investor and the push. The Philadelphia-area company [Penn National] is, at least, expert at shoehorning electronic gaming into existing race tracks. It has a glowing record of legislative persuasion in states where slots were illegal. The company also develops tracks for electronic gaming success, then operates the gaming well. As always, there’s an annoying lack of anything specific. What do they think will work in Texas? I presume at this point it’s a lobbying strategy, since it’s a bit late in the game to try to swing elections. I don’t really expect them to spill their game plan to a reporter, but some clue of the general outline would be nice to know. Many roadblocks and obstructions lie ahead. One committed foe will be other states’ gambling interests. “If casinos or tracks near Texas borders have parking lots filled 80 or 90 percent with Texas license plates, you know they will work hard to keep those customers,” Hurwitz said. The world’s third-largest casino is WinStar. It’s just inside Oklahoma, about 75 miles from the Dallas-Fort Worth area. 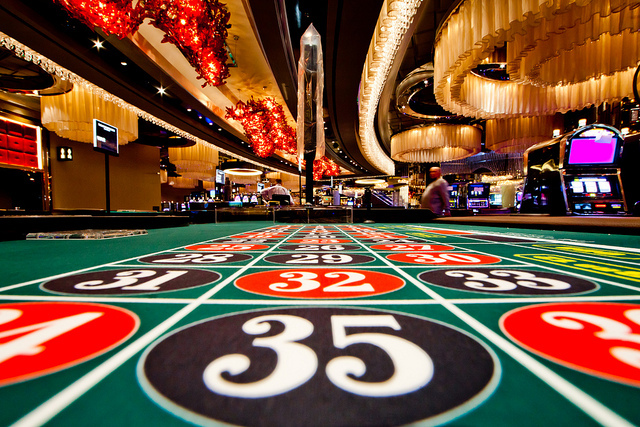 Casinos and racinos (horse tracks with gaming devices) could collapse without Texas revenue. I assume we’re now talking about the battle that will come after the legislative victory, which is the battle to get all those Texans who cross into neighboring states for their gambling fix to stay at home and lose their money here. I note this just as a reminder that however much gambling money leaves the state, not all of it will come back. Be careful when reading projections about the size of the potential windfall. File this under “general gambling news”. Sam Houston Race Park will announce today it has entered into an ownership and operations agreement with racetrack and gaming giant Penn National Gaming Inc. as Texas track owners prepare to push for expanded gaming options from the Texas Legislature next year. Penn National will acquire a 50 percent interest in the joint venture, which operates Sam Houston, Valley Race Park in Harlingen and a planned racetrack in Laredo. The value of the transaction, which is subject to approval by the Texas Racing Commission, was not disclosed. Today’s announcement comes as the financially troubled Texas racing industry gears up for a full-scale lobbying effort before the 2011 Legislature to approve slot machines and other gambling options that industry observers say will benefit the racing business and the Texas economy. The story has a lot of well-known background information on the upcoming legislative fight to expand gambling in Texas, but no new information about how proponents plan to win that fight. The way I see it, this is basically Penn National placing a bet that Texas does in fact expand gambling to include slot machines at racetracks, which obviously they think will be a winner for them. They may or may not have a strategy to facilitate this, and if they do it may or may not be anything more than “give more money to the people that already support our position”, I can’t tell from the story. Like I said, they’re putting their chips on expanded gambling happening next session. Make of that what you will. If slots pass, [Retama CEO Byron] Brown envisions a massive transformation at Retama with an investment of more than $200 million in new facilities, gaming terminals and other amenities. Still, that isn’t likely to happen until late 2012 at the earliest if slots are approved. Approval requires a vote of two-thirds of the Legislature, with voters getting the final say. It’s not clear what would happen to Retama if slots don’t pass. Gary Baber, board chairman of track owner Retama Development Corp., a municipal subdivision of Selma, fears it could become home to a flea market or motor racetrack. Built in the early 1990s for a reported $80 million, Retama Park had trouble right out of the starting gate. It missed financial projections its first year and landed in bankruptcy a year later in 1996. Joe Straus Jr., who is the father of Joe Straus, the speaker of the Texas House, is part of the group that got Retama built. Straus blamed the arrival of the state lottery, the rise of Internet gaming and the spread of eight-liner slotlike machines for hampering the track. “It’s kind of a minor miracle, in my opinion, that we have kept (Retama) alive as long as we have,” Baber said. I had thought that maybe the racetracks might have a bit of an edge in the forthcoming gambling expansion fight on the grounds that they could install slot machines and start generating revenue for the state a lot faster than casinos, which would have to be built from scratch. But if Retama is typical, then that isn’t necessarily the case. Point being, and I want to commend Sen. Rodney Ellis for being clear about this when I interviewed him, whatever the potential long-term revenue from expanded gambling may be, there will be almost no effect on the next budget. I got a good chuckle out of Straus’ daddy’s excuses for Retama’s lack of profitability. I mean, the Lottery was created in 1991, five years before Retama was built. I suppose it could have had an effect on their bottom line, but it’s not as if they never saw it coming. Really, they should have seen the threat from online gambling back in 1996, too, but that’s a more understandable oversight. I have to ask, though – if online gambling is keeping people away from the tracks now, how much would the addition of slot machines really change that? Retama is an example of an industry, once touted as a financial savior for Texas, now in deep distress. Yet here it is, touting the addition of slot machines to their businesses as an savior for Texas, and by the way for themselves. You do have to admire the tenacity, I’ll say that much. It’s not very bright right now. The Texas Racing Commission faced a packed house Friday in the enclosed confines of the Founder’s Room at Sam Houston Rack Park. They heard a tale of woe from an industry in rapid decline, a decline precipitated by a close escape of Texas dollars flowing across the Sabine and Red rivers to horse tracks with a racino attached. You can imagine what they believe the solution to their woes is. Look, I’m not a horse racing enthusiast. The one only time in my life I’ve been to a racetrack was 1988 at Bandera Downs, which was back before you could place a bet on a race. But I sure do remember being told that allowing bets on races would be a financial windfall for the state. It’s primarily because of that that I remain skeptical about the claims now being made by “racino” proponents; that is, proponents of allowing video lottery terminals – slot machines – at racetracks. I do believe that will draw more people to the tracks, but I don’t see how it’s going to make more people interested in horse racing, and because of that I have doubts about its long-term viability. If the races themselves aren’t drawing people in, what’s to keep them from getting drawn away by some other shiny new object later? Anyway, this is an interesting story about something I generally pay little attention to, so check it out. Thanks to Hair Balls for the link. Lawmakers had been warned to expect a shortfall of at least $11 billion in the next two-year budget period. But Appropriations Chairman Jim Pitts, R-Waxahachie, on Tuesday put the gap at $18 billion — and said lawmakers should consider casino gambling as one way to fill the hole. The expansion of gambling would require a constitutional amendment, Pitts said. That means a two-thirds vote of lawmakers and voter approval on a statewide ballot. Casino gambling could bring in $1 billion in the next two-year budget period and $4 billion annually in the future, he said. While I agree there’s revenue to be had by these means, I remain skeptical of pretty much any actual number that gets put out to quantify it. I’m particularly dubious of the $1 billion claim for the next biennium, especially if we’re talking casino gambling. Assuming a joint resolution passes, and it gets ratified by the voters, there would still be the need for local option elections in places like Galveston where any proposed casino would be situated. By the time you get past that, it’s already May of 2012, and you haven’t even started construction yet. I suppose this could be an opening for the slot-machines-at-racetracks crowd, since those could be in place within days of the November constitutional amendment vote. We’ll see if anyone picks up on that argument when the session opens. Just remember that there’s still plenty of opposition to expanded gambling out there, so even getting to the first step is not guaranteed. I’ve heard a number of reasons why we “need” video lottery terminals at horse racing tracks, but this one, espoused by Texas Racing Commission Chair Rolando Pablos, may be the most entertaining. Well, that is creative. 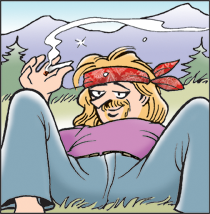 Maybe they can adapt a line from the Weird Al Yankovic song “Horoscope” as their motto: “Fill that void in your pathetic life by playing VLTs seventeen hours a day”. I’ve not been to a horse racing track in years, so I can’t say if this “void” of which he speaks really exists. I do know that many other sports seem to manage their breaks in the action without the need for VLTs, so I trust you’ll pardon my skepticism here. The real question is whether or not allowing VLTs actually would be a net plus for Texas’ bottom line. Remember, the racetracks themselves were once supposed to be a financial windfall for Texas. Filling voids isn’t really a concern to me. Bad budget times are fertile ground for those who want to see an expansion of gambling in Texas. Galligher cited previous studies showing that 68 percent of Texans would approve the proposals, despite resistance in the state Capitol. Studies over the past several years have shown that revenue for casino gambling would generate between $3 billion to $4.5 billion in state and local tax revenue, he said. Sen. Rodney Ellis, D-Houston, a leading sponsor of the 2009 casino gambling bill, has also said that he plans to revive the bill, presenting it as a huge revenue generator that could put billions into public schools and highways. The Fort Worth Stockyards have long been eyed by gambling interests as a potential site for a casino. “If we’re going to ask Texas families to sacrifice in these tough economic times, I think it’s the responsibility of the Legislature to consider all reasonable options to help generate revenue,” Ellis said. Remember, the gambling industry never sleeps. Doesn’t matter that neither candidate for Governor is much of a fan, they’re out there working it. You have to respect that. Again, not to rehash old debates, the main point is that even if all their dreams come true in 2011, it still won’t help with the current situation. I agree with Sen. Ellis that we need to consider all reasonable options for generating revenue, I just don’t think this one should be in the top half of the priority list.